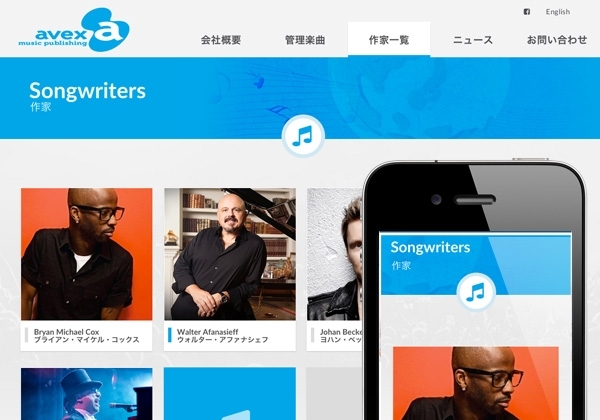 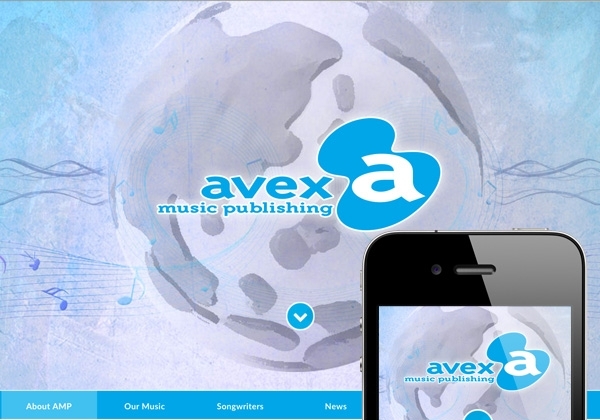 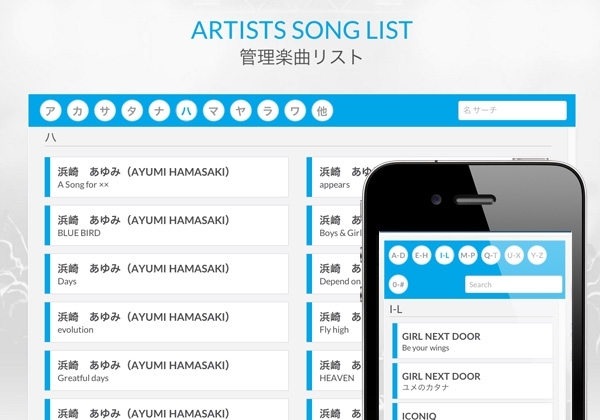 Avex Music Publishing was founded in 2010 for the purpose of managing, developing, and administrating music copyrights held by avex group companies. 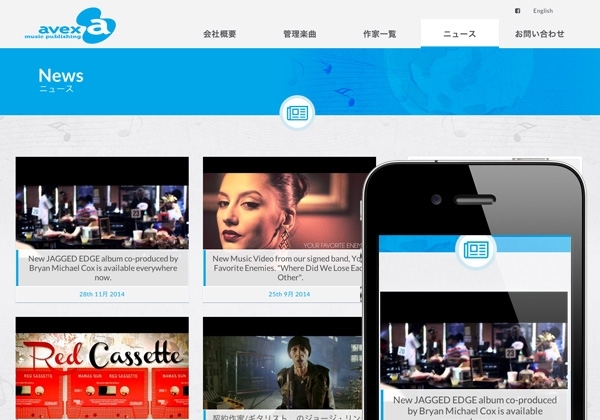 AMP needed their new website to modern, bilingual, and responsive. 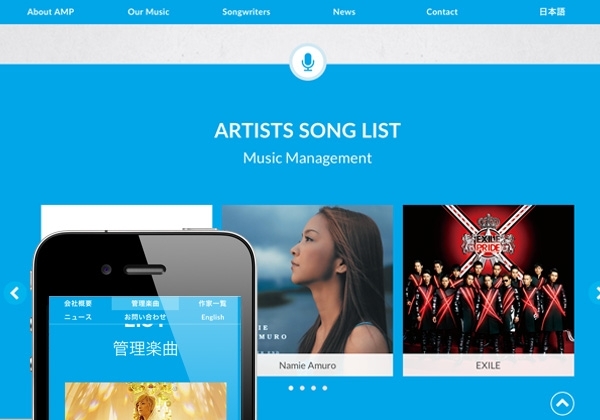 It was important for AMP to differentiate itself from the Avex Group of companies while maintaining the group's identity and goals. 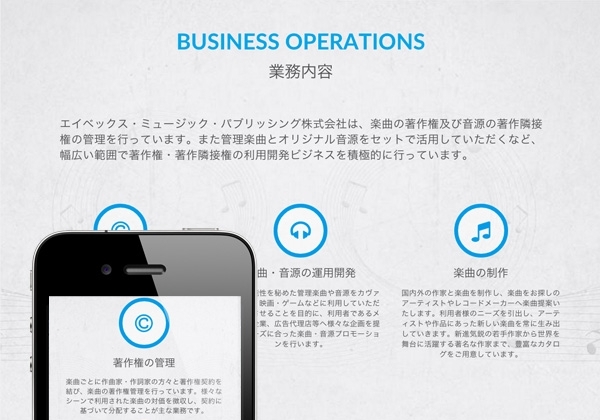 The international market is extremely important to AMP, they needed a design that would work well for both domestic and international visitors. 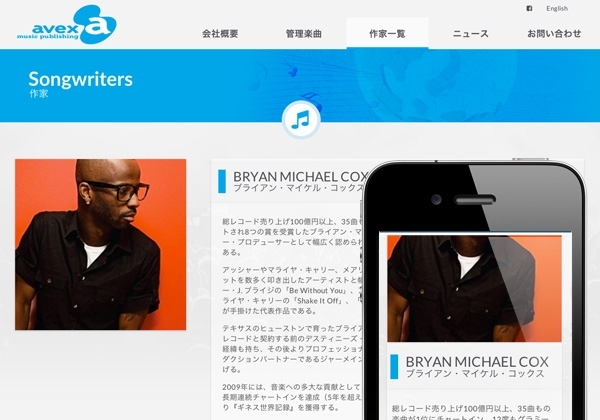 The site features an AMP music catalog search widget, writer listing and profile pages, and a news blog all easily updatable by AMP staff via the site's CMS.